2020 Ford Bronco | Schmidt Ford of Salem Inc.
From the 1960s well into the 1990s, there was perhaps no 4x4 SUV hotter than the Ford Bronco. This model was ruggedly built, equipped to handle off-road settings, and a comfortable daily driver that routinely showed off its versatility. If you find yourself fondly reflecting on the Bronco's legend, you won't have to wait long to transform these memories back into experience. 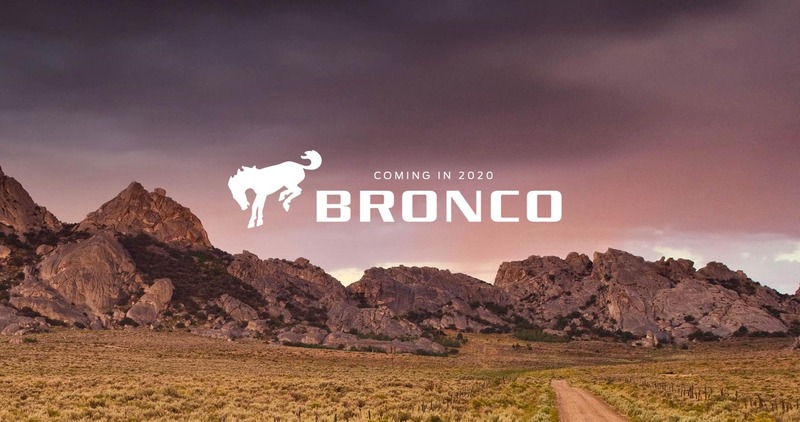 The legendary Ford Bronco is set to return in 2020, and Schmidt Ford has the details that we know so far. For three decades and five model generations, the Ford Bronco was a popular four-wheel drive SUV in the marketplace. Famous features that drivers fondly reflect upon include an auxiliary gas tank and post-hole digger, equipping you and your guests for extra time spent outdoors and amongst nature. Manufactured in Wayne, Michigan, this celebrated Ford model was American-made and designed to bring the most out of the road surface you voyage over. Trending towards the F-150 in terms of a truck-based design in previous models, the Ford Bronco will return as a mid-sized SUV in cooperation with the new Ford global platform. This model is expected sometime in 2020, featuring the latest Ford technology and innovation. Returning to the factory where initially assembly took place, you can expect the same ruggedness and personality that drivers across the country enjoyed for decades. Schmidt Ford will keep you in the loop on all developments as they are announced, and we welcome you to explore the rest of our new Ford lineup while you wait.